As the capital city of Portugal, Lisbon was one of the world’s most important cities in the early days of the Age of Discovery. Portugal was, by almost a century, the first European nation to seek out trade and conquest in areas previously unfamiliar to the rest of Europe. In particular, in sub-Saharan Africa, India and the area that now comprises Malaysia and Indonesia. The Portuguese even got to Japan, where they set up a trading post, and China, where they planted themselves in Macao. While the rest of western Europe was mired in the religious wars of the 16th and 17th centuries, little Portugal took advantage of its window on the Atlantic to send out explorers in the early 1400s under the aegis of Henry the Navigator. It led to an empire that may not have quite matched Britain’s subsequent (by 300 years) empire upon which “the sun never set”, but Portugal’s elite, anyway, was enriched by its colonies, from Brazil to Malacca. The country held colonies for nearly 600 years (as recently as 50 years ago, Portugal still held the sprawling African countries of Angola and Mozambique), but was not benevolent. 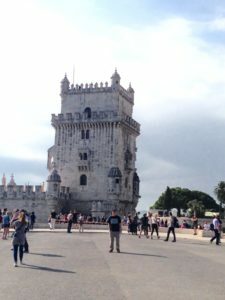 Lisbon is the repository of the history of empire, which today seems scarcely believable, given the small size of Portugal’s country and population of about 11 million. Today, most tourists come to Portugal from the north of Europe, seeking sun and sea and inexpensive goods and services from what is now one of the least-wealthy countries in the European Union, west of the Balkans. To move around in Lisbon, which is a surprisingly compact city, is to be reminded of empire, as well as one other epochal event. That would be the 1755 Lisbon Earthquake, which knocked down many of Lisbon’s ancient structures, or set up the rest to be destroyed by the tsunamis and fires that followed the quake. The devastation severely damaged Portugal’s economy, as well as its grip on empire. The modern view of it, here, is to marvel that the hilly city was rebuilt from the rubble, with wider streets and numerous areas of parkland that foreshadowed the more ambitious successes of Baron Haussmann in Paris, a century later. Lisbon does bear some similarities to Paris, in terms of public buildings and statues and museums and a grand boulevard (the Libertade, here; the Champs there). It all is just smaller and 100-plus years older. Lisbon is the seventh-biggest conurbation in the EU, and it dominates the country ruled from here. Portugal is about 35,000 square miles in area, almost as big as the U.S. state of Indiana. Lisbon does not have the wealth of nations arriving at its docks and wharves, as it did for hundreds of years. Instead, it has tens of thousands of tourists who arrive at the docks, or at the airport, for stretches of basking in the sun or frequenting the beaches. During the high season of July and August, so many tourists are jammed into the waterfront Praca do Comercio district that it is almost impossible to negotiate it in a motor vehicle. “So many people are here that they cannot all walk on the sidewalks, so they walk in the street,” a taxi driver told us. We are spending several days here, based near the Baixa neighborhood and touring from the Belem district in the west to the Sintra area of the Portuguese Riviera. So far, we have found the city to be inexpensive, particularly when compared to the shocking prices in the capitals of Scandinavia or Britain, or France; and we also have found it to be friendly and welcoming. Perhaps what will linger most is the excellence of the local restaurants (many of them cafes with 40 places or less), in tandem with the low cost of meals. Tonight, our main courses of fish, steak and grilled chicken, in a bustling local cafe, cost less than 10 euros each. And this is in the “big city” of Lisbon. If you think of Spain as being inexpensive, head over to Portugal to find the real home of discounted vacations. Away from the table, we have found Lisbon difficult to walk, because of its many hills. Some of it is showing its age. Other areas are rundown and gentrifying — or awaiting gentrification, as in the neighborhood where we are staying, near Principe Real, where many storefronts are empty and the homeless can be found in most every block. But that can be said of many U.S. cities, as well. 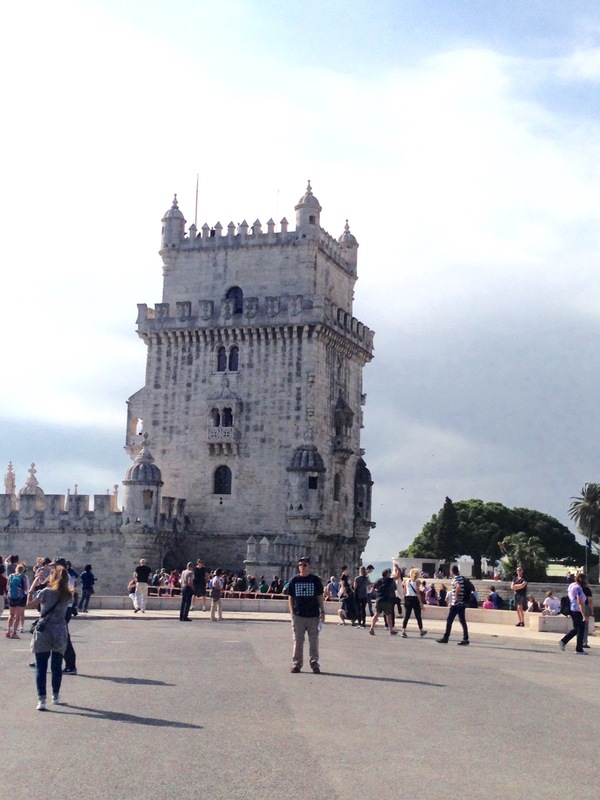 Lisbon is certainly worth a visit. For all the history here, but for the people and places, too.